My name is Dr. CarrieLynn D. Reinhard, and since I am the director of our new social media minor program here at Dominican University, I am taking the negative stance on the resolution “Social media is harmful to the intellectual and emotional development of young people”. Media are not fixed natural objects; they have no natural edges. They are constructed complexes of habits, beliefs, and procedures embedded in elaborate cultural codes of communication. The history of media is never more or less than the history of their uses, which always lead us away from them to the social practices and conflicts they illuminate. When we look at the media technologies this way, Gitelman and Pingree argue that they seem to have a common pattern: every introduction of a new medium, or a new communication technology, seems to undergo a phase of “identity crisis” as the meanings and use of the technology are negotiated over time. And part of this pattern is how they are met with the same two polarized positions: risk and potential. Risk is the reactionary position, which sees the introduction as a detriment to the current and future status of civilization – this is the position my friend here is espousing. Potential is the revolutionary position, which sees the introduction as the long-awaited arrival of the savior of civilization. Neither side, it appears, is completely wrong, or completely right – there are always benefits and drawbacks to any new technology, and how that technology will ultimately be used by the civilization is determined by years of use, until ultimately what results can be very unlike what the reactionaries and the revolutionaries worried about and dreamt of respectively. For example, how we used the telephone was not have envisioned by its inventor, Alexander Graham Bell. He wanted us to answer the phone with “Ahoy!” while through conventional use the protocol became “Hello?” Additionally, according to social scientist and technology scholar Ithiel de Sola Pool, people had imagined that the introduction of the telephone would further democracy, be a tool for activism, avert wards, decrease loneliness, while politicians and businesses at the time, such as Western Union, thought it to be an idiotic, impractical, ungainly toy – mostly because it was a threat to their telegraph business. My stance is the pragmatic one: to see the technology as neither the end all nor be all for civilization, but as another tool we have developed that we can use to help ourselves. The point is to learn about the tool, how it can and cannot be used, how it should and should not be used, rather than to give into unfounded fears or impossible hopes. All of this applies to social media, as it represents one of the most recent technologies to be crystallized as a specific entity within the past decade, and thus it has generated both these reactionary and revolutionary discourses as our society and culture continues to make sense of how it can and should be used or not used. My friend here defines social media in a more philosophical way – a way that I would discuss in my class, but would not espouse as a way to understand what these technologies are to our modern world. 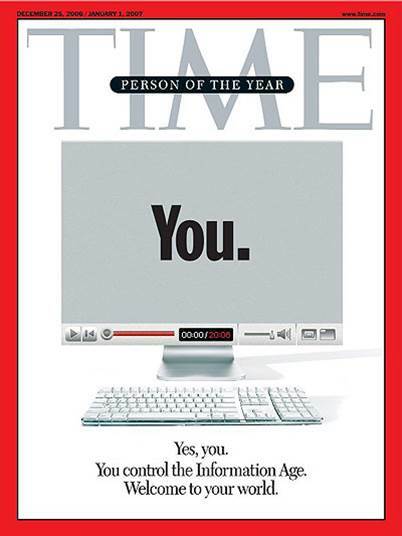 A pragmatic approach to defining social media would be to focus on those technologies that have been developed and raised to prominence via the Internet over the past decade, and coming to the forefront of public attention with the 2006 Time magazine touting “You” as the Person of the Year due to this new technology. Social media are communication technologies that do not utilize a transmission model for their primary design; that is, these are technologies that are designed to allow multiple parties to partake in the communication process with some measure of equality in producing messages. Many traditional communication technologies have had the potential to become social media, such as radio and printing, but were largely institutionalized so that only certain parties had the ability to produce messages that were then transmitted for the masses to receive. Other traditional communication technologies have remained social media, such as postal mail and telephone. However, the terminology of social media is not commonly applied to them because they are primarily used for interpersonal communication purposes and not mass communication purposes. The Internet, which was designed to be a decentralized communication network, has permitted communication by multiple parties for interpersonal and mass communication purposes, and people have taken advantage of this design by creating specific Internet-based technologies and platforms that provide for and permit more voices to be heard through the process of producing messages. 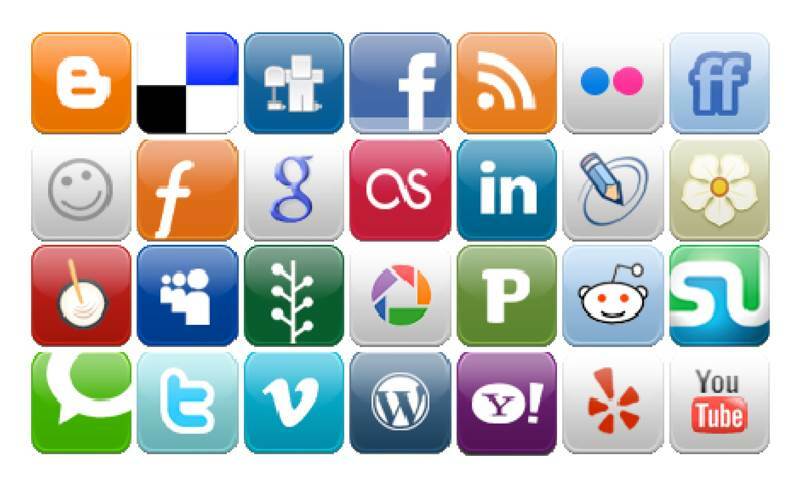 These technologies and platforms, such as social networks, blogs, and podcasts, tend to be what we envision with the term “social media”. My esteemed colleague is right in presenting a cautionary tale of how social media is changing how we think. But what he presents as detriments to our society could be indications of changes, which he also acknowledged. And these changes could also be for the good of civilization. There is value in social knowledge – the idea that knowledge is created through collaboration and dialogue rather than individualized contemplation — because we are social creatures; we would not have the civilization we have now were it not for our social nature. Our ability to learn from others, to allow some to focus on knowledge in one field over the other and to share that knowledge, has been the fundamental mechanism in science and scholarship that has allowed us to get to where we are now. The social media have just helped us fully realize and share, not just among experts and elites, but with everyone, around the entire globe, truly creating the type of global village Marshall McLuhan had thought possible with earlier media. The ability to tap into this social knowledge means that people do not have to memorize trivial facts from fields of which they have no personal interest to develop expertise. Reducing the need for memorization allows for individuals to more fully develop their knowledge of the fields they are interested in. This does not mean that expertise will disappear – only that people are empowered to develop their own personalized expertise, and to share it with the world. This also means that we no longer need demoralize those who have not the capacity to memorize, as such capacity has long been associated with intelligence. There may be multiple means of intelligence, as psychologist Howard Gardner first began arguing in 1983. A focus on social knowledge allows for people to be who they are, and not be who we think they should be, in order to be seen as good people. As argued by futurist, inventor and education advocate Ray Kurzweil, a reduced need on memorization allows us to focus on developing skills that will be and maybe always have been important to our civilization but have been treated as lessor or as unimportant as memorization; skills such as creativity, problem solving, critical thinking, communication. Instead of telling you about the importance of the Battle of Hastings, I can pose you the problem of solving the question, encourage you to be critical of the sources of information you find, communicate with others to share and learn this importance, and then even be creative in how you express your knowledge acquisition. All of these skills will be more important to your life than memorizing what happened during the Battle of Hastings – and should you find it interesting in your pursuit of this knowledge, then you have the ability to go further, to find out more, to develop your own personalized expertise on the topic. A reduced focus on memorization means an increase in developing your agency, your empowerment, your interest in learning. Yet, at the same time that I espouse these possibilities, I would also seek to temper any revolutionary thought with the pragmatic realities we face in using social media to change ourselves and our world. These pragmatic realities are the dark sides of human nature, which take joy in the pain of others and seek differences over similarities. These pragmatic realities are of economic uncertainty and unequal distribution of wealth hindering what revenue is available to use social media for revolutionary pursuits. Kickstarter was started in part to help people source the crowd to find ways to pay for innovations. Such a social medium would not be needed if there was venture capital to accommodate these creations. The truths of politics and economics are that they tend to be insular, supporting their own, and can hurt any use of social media for innovation, let alone revolution. These pragmatic realities are of the imbalances of power that exist that could be a threat to net neutrality, to open sharing via social media, and to the ability to translate what happens in social media to the world. We have places like Iran making its own Internet, Turkey and China forbidding access to social media sites like YouTube. When the realities of politics, with the imbalances of power away from the people, intercede, then again social media cannot play the role in revolution that people desire. These pragmatic realities do not mean social media cannot help with revolution. But in order to get to the revolution, we have to be smart with how we use the tool – we cannot rely on its mere existence being enough; we have to know how to use it by being educated, by being pragmatic. We have examples of people using these social media to impact the world. Examples such as the Arab Spring that spurred political change, the game on protein sequencing that could help cure AIDS, and the social media backlash that changed the policy of organizations like Susan G. Komen for the Cure. Through analysis and discussion, these examples and others can help us understand how we should interact with the social media, and how the social media can impact the world. The pragmatic power of these examples, and thus of social media, is the ability to create community – to organize people to share – and to utilize these people for the achievement of some goal in the world. There is the possibility to create revolution through social media, but it must be done in a smart, strategic use of the tools. I come from the social sciences, where we had to read Thomas Kuhn’s work on paradigm shifts in science. For Kuhn, a paradigm shift is the change in the basic assumptions about science, about how things are, that changes how we do science. We can see the current and potential impact of social media as a paradigm shift in the sense that it is changing our assumptions about how people relate to one another. Traditionally, the assumptions about how people relate to others, communicate with others, and impact the world tends to be one of top-down: the rich and powerful transmitting information to the lower echelons while having the most impact on the world around them. I hate to say this, but even in our democracy, we find this arrangement to be true, and it was an arrangement that was ingrained in the communication models of old media like film, television, radio. The social media have the potential to bring power — whether political, economic, social or cultural — to those who have traditionally been powerless, or at least at the lower echelons of power. I am not saying that social media is always already revolutionary – such would be a technologically determinist approach to these online tools. We must not continue the technologically determinist approach that leads to blaming and scapegoating the media for all our problems rather than addressing the political, economic, social and cultural factors that play a larger role. Whether for good or for bad, social media, like any media, is simply a tool through which we act. Social media only has the potential for being revolutionary, for creating the paradigm shift, by giving more people more voice – by giving more people more control over their communication. As part of the tensions I discussed earlier, the fear of the introduction of a new technology dissolving communal ties is nothing new. Such have been the concerns of sociology for over a century, such as Emile Durkheim’s concept of anomie from the 19th century, or more recently Robert Putnam’s concern over social capital. At the same time such theorists are decrying the decline of civil participation and community, other researchers are showing not a decline so much as a shift: traditional ideations of community may be declining, but people are still participating in different groups, groups that perhaps are better suited for the modern world. Community as a concept is flexible and adapts as our lives and the demands on them change. Early on in the discussion of social networks, in a 1999 book on communities in cyberspace, Barry Wellman and Milena Gulia discuss the conceptualization of community as not having to exist solely in geographic terms such as neighborhoods, but via online connections between kin, friends, and workmates, connections that can span continents. Such conceptualization would be an example of the flexibility of community, and it would be the definition with which I agree. Community is, at its core, about people grouping together based on an affinity for something. With online tools like social media, we have the ability to transcend the geographical to become truly global, to become truly inclusive and find like-minded individuals. When I say that the pragmatic power of social media is through community, it is because of the importance such communities of affinity can have for individuals. Sure, you may be a member of an online community that you have weak ties with – but then there is probably another community you have stronger ties with because of the importance of those connections. This reality is perhaps no different than what we experience here in the physical: some things are just more relevant, more interesting, more important to us than other things, and we attend to those that we deem to be so. The pragmatic power of a community is in organizing people around that which we care about, and having us act in accordance with that. If the anti-war protesters of the 1960s did not care about the draft and the Vietnam War, then no amount of community there would have led to them marching on Washington. Community is a way to connect and organize, whether in person or online – and, increasingly, through a combination thereof. Thus, we can say that the pragmatic power of social media is through the community it can foster and utilize for some form of activism. Here I am not defining activism merely by the acts of public protest, demonstration and civil disobedience; while undoubtedly important methods for any activist, they are not the only methods. As researchers Melissa Brough and Sangita Shresthova have pointed out, today’s youth are organized now more around “culturally defined solidarity” that involves different types of civic and political participation – activism through different acts. With the range of methods possible as activism, we have a number of examples that involve the use of organizing and deploying community through social media. The examples I mentioned previously are from when communities formed via social media were organized into action. First, the Arab Spring: Beginning in December of 2010, we saw how the people’s use of social media can lead to protests and even revolution across the Middle East, with rulers being forced from power due to the people’s actions in Tunisia, Egypt, Libya and Yemen. Those peoples came together by sharing information over social media to inform, to organize, to rally, to promote. Second, HIV protein sequencing: Using a social game Foldit, players from around the world helped AIDS researchers understand the structure of a particular protein in HIV. Researchers had been trying to understand this particular protein for 15 years; the game players solved the puzzle within days – and doing so could help us combat this horrific ailment. Third, Susan G. Komen: Social media backlash can cause corporations to change their directions in policies and products they have announced, from the fashion industry, the food industry, and the charity industry. Susan G. Komen for the Cure in January of 2012 announced they would no longer support funding of Planned Parenthood; social media backlash was quick and overwhelming, leading to the February reversal of this policy and a public apology. I would like to conclude with this, a cycle of which social media play a part. Social media are a new tool that allow for new ways to communicate with one another that allows for new ways to think individually and collectively that allows for new ways to organize into communities that allow for new ways to get active in the world, which could further lead to new ways to communicate, new ways to think, new ways to organize, new ways to get active – and so on and so on. None of this is new. We have been engaging in such a cycle for generations, centuries, millennia. This cycle is how we shape and reshape our civilization, our relationships with one another, our power dynamics, our world. Social media are just another tool that, through our use of it, is becoming a part of this cycle. This is not a revolutionary approach; I am not saying social media is causing this cycle, only that it has potential to be involved in this cycle based on how we use it. Thus my approach is a pragmatic one – an approach that is aware of the benefits and drawbacks, but is not afraid to help people move from being media consumer to media producer in a worldwide, world-wise community. But it all depends on what we – each one of us here and out there — do with it. Is the social media good or bad? The better question is: are we good or bad when we use it? Durkheim, E. (1951/1897). Suicide: A Study in Sociology. Translated by J. A. Spaulding & G. Simpson. The Free Press of Glenco. Gitelman, L. (2008). Always Already New: Media, History, and the Data of Culture. The MIT Press. Gitelman, L. & Pingree, G. B. (2004). New Media, 1740-1915. The MIT Press. Kuhn, T. (1962). The Structure of Scientific Revolutions. University of Chicago Press. Marvin, C. (1990). When Old Technologies Were New: Thinking About Electric Communication in the Late Nineteenth Century. Oxford University Press. Putnam, R. (2001). Bowling Alone: The Collapse and Revival of American Community. Touchstone Books. Wellman, B. & Gulia, M. (1999). “Virtual communities as communities: Net surfers don’t ride alone.” (pp. 167-194). In Ed. P. Kollock & M. Smith Communities in Cyberspace. Routledge.